There's really something strange going on in our beloved GameCube: it's a lack of common sense from game makers. For more than a year, the GameCube has been lacking of racing games, there were Burnout, Extreme G Racing, The Simpsons' Road Rage, some rally games... nothing very good and nothing else much. And now, suddenly, plenty of racing games are coming out: Burnout 2, V-Rally 3, XGRA, F-Zero, Mario Kart, Kirby Air Ride, Speed Kings, Auto-Modellista and, GT Cube. In Japan, in about a month, 4 racing games will be released (Auto Modellista, V-Rally 3, GT Cube and F-Zero). It might be that only one manages to get a decent number of sales because of this fierce competition (F-Zero maybe) or, worse, that none of them does because the selling potential of each game will be divided by four. Sheer stupidy of the companies or simple ignorance of the competition's products ? Who knows, but it might have some consequences. Before seeing about that in the coming weeks on our Japan Weekly's GC Best Sales, here's a preview of GT Cube. An interesting cel-shaded racing game, however Auto Modellista remains our favorite. Not very many sites or magazines seem to have enjoyed playing Vexx. It's far from being a bad game though, it just has a mix of big faults and big qualities. It's difficult to know which one will matter the most to a player. For Samurai Nintendo's part, what makes Vexx a good game prevailed and here's our full review. All the games we talked about during the E3 just got their picture comments. The planning in Japan Weekly has been updated too: a few games got delayed (Viewtiful Joe, Monopoly, Magical Pumpkin) and the release date for GT Cube (a preview soon), Lode Runner Cube, Star Soldier, Auto Modellista US tune (cool !) are now known. Also 2 games I had never heard before just showed up at the bottom of the planning: Gero Gero King (a mini-golf game with frogs) and Charinko Hero, which is, if I understood correctly, a biking game with some characters like Ultraman and all these giant robots and monsters from Japanese TV programs. The date for the GameCube + Game Boy Player pack has been confirmed too. Geist was one of these E3 games which did not draw any interest from me. It seems ok, but nothing so good that it could become the FPS hit the console needs. However, Nintendo annnounces today they will oversee the game with creative and technical input. Good news, given the past (disastrous) record of n-Space including one decent Duke Nukem title but a major heap of crap (Ashley and Mary Kate, Rugratz and other can-live-happy-without titles). Best sales for GameCube titles in Japan have been updated. Nothing fantastic... check at Japan Weekly. Post-E3, it's a bit like post-war, journalists are exhausted, video games sites are overwhelmed with pictures and info... here, at Samurai N, it was rather quiet, I did not cover much because I must say I was very shocked by Nintendo's latest announcements: The Four Swords GC, Tetra's Trackers and Pacman. I'm absolutely not interested in these games. Hopefully Nintendo don't plan to release the 2 Zelda like this, no-one would be willing to buy them; same goes with Pacman, who is still interested in Pacman, except maybe a few beatniks who didn't realize video games have evolved since ? » Preview of Mario Kart: Double Dash!! ALL THE E3 NEWS ARE HERE ! The other news will still be posted here, under this item, though it might be pretty quiet in the rest of the gaming world while the E3 is held. Have a good show ! Nintendo and Nintendo fans will, for sure. The Japanese ranking has been updated. Pokemon Colosseum. No more Stadium, it's too small for the Pokemon who now need a colosseum to satisfy their imperial fighting needs. The game is compatible with Pokemon Ruby and Sapphire (2 vs 2 battles are included of course) and is planned for a release this Fall in Japan. Pokemon Channel A second Pokemon game for GameCube was shown in which, according to IGN, you have to make a TV program with Pikachu. It's the second game for home consoles starring Magic Pika after "Hey You, Pikachu! ", maybe the idea behind will be somewhat similar. It seems to be scheduled in July 18 in Japan. Already 3 Pokemon games have been announced just for this year, wow. Starfox Armada. The first pictures for Starfox Armada are also available and, strangely, they feature once again Fox out of his Arwing, shooting some kind of bazooka on top of a friend's ship. Weird... however, we can safely assume that these are pictures from the multiplayer mode, and it seems to be focus on battles like in Starfox 64 (you could unlock something pretty similar). We'll have to wait a bit more to eventually see the first pictures of the real shooter single player mode. Super Monkey Ball 3: Banana Crazy. Aiai and his family are back for more, and one important new feature is the LAN support like in Mario Kart Double Dash: that means up to 8 players will be able to enjoy some crazy banana fun in the mini-games. Knight N' Knight. It's a GameCube instalment to this long forgotten Saturn's title: Clockwork Knight. You could control a mecanical knight in a toy's world, a rather nice game (or gameS ? I think there's been a sequel). It might be one more exclusive game from Sega. Custom Robo. Famous for 2 games on Nintendo 64 in Japan (check your Smash Melee trophies list), Custom Robo by Noise is back on GameCube. You can now fight up to 4 players in battle mode. The graphics looks neat, much better than Zoids VS for instance. And finally, the planning in Weekly Japan has been updated with the release of Pokemon Box on May 30. - Zelda. After selling 800.000 copies in the first week in USA, The Legend of Zelda: The Wind Waker has again struck big by selling over than 300.000 copies in Europe the first week (80.000 in UK). The GameCube hardware enjoyed this success too as its sales accross Europe have tripled. Thus, Zelda became the fastest selling title to date on GameCube. - Zelda, again. Last week, Zelda got another kind of reward, from professionals, as you can read in this excerpt of a news item from Reuters: "A panel of writers from Entertainment Weekly and gaming experts from G4, the cable TV games channel, have voted the "Zelda" series, from Japan's Nintendo Co. Ltd. to the top of a list of the best 100 video games ever." What could we say but that it's fully deserved ? The wind is blowing in favor to Zelda, bringing it to new heights. Congratulations to Nintendo ! - New development team. Nintendo precisely, is preparing the future, and the future goes by Tokyo. Nintendo, whose headquarter is in Kyoto, opened a new development facility in the capital in order to attract new talents more easily. This new office will open in September with a staff of 40-50 persons, including 20 fresh recruits, the rest moving from Kyoto. It's still unknown if this development team will have a specific name and task, we might hear more about it during the E3. F-Zero GX: Samurai N was right ! As we were already telling you in a news item on April 28 (much before the other sites ! we ruuule), the official name for F-Zero GameCube has been confirmed to be F-Zero GX. The Japanese ranking has been updated. I'm very busy at the moment, there might be a bit less updates than usual, I got tons of games all the sudden and I'll have to write the reviews in the coming weeks, after I played them long enough. So, in addition to the coming E3, I won't have much time for extra updates. 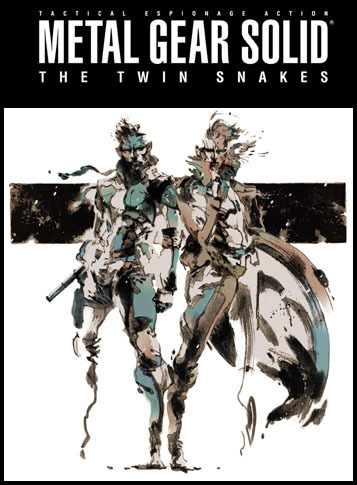 - Metal Gear Solid: The Twin Snakes. It sounds soooo much like an April's fool ! 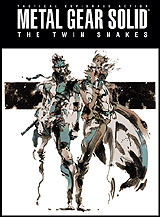 But it's not, so rejoice: Metal Gear is coming to GameCube in an exclusive title developed by Silicon Knights (maker of the awesome Eternal Darkness) and supervised by both Hideo Kojima and Shigeru Miyamoto. The game will be introduced in playable form at the E3 in a couple of weeks. - Mario Golf: Toadstool Tour. According to IGN and a wandering box picture, this is the title of the new Mario Golf developed by Camelot and coming to GameCube later this year. - Pilotwings. A rumour has it that Factor 5, while developing Rogue Leader: Rebel Strike, the sequel to Rogue Leader, is also working on a GameCube version of the tremendous all-fun flying simulation Pilotwings. The past Pilotwings games had been developed by Nintendo on Super Nintendo and Paradigm/Nintendo on Nintendo 64. - Sega. Sega will unveil Phantasy Star Online Episode III: C.A.R.D. Revolution for GameCube at the E3. The game features a card system like in Lost Kingdom / Rune instead of the traditional action system. Is it really a good idea ? Other Sega's exclusive games for GameCube include Sonic Adventure DX: Director's Cut and Billy Hatcher and the Giant Egg, along with one multi-platforms title, Sonic Heroes. - Zelda in Europe. Nintendo has quite an unpleasant surprise for european players. In a press release, Nintendo France announced that the bonus disk with Ocarina of Time and Master Quest does not work on TVs which don't support 60Hz. The Wind Waker does work properly however. Hmm, nonetheless, it's a weird and very unwelcomed mistake from Nintendo. - Harry Potter: Quidditch World Cup. EA, greedy as ever, has decided to make a new Harry Potter game while waiting for the making and release of the Prisoner of Azkaban and Goblet of Fire movies. The new game is all about Quidditch; if it plays as bad as in Harry Potter and The Chamber of Secrets, we can tell you right away: you'd better not buy it ! Anyway, in this game, deeply inspired by the first chapters from The Goblet of Fire, you will be able to play with the 4 Hogwarts House teams and with several countries: "USA, Bulgaria (whose seeker is the famous Viktor Krum), England, Japan, France, Germany, and Australia". And where's Ireland ("Troy - Mullet - Moran! "), one of the most important team ? EA probably forgot it, we know well they don't give a damn about making things properly. - Pokemon Box. It's an oldies rather a news, though still worth mentioning. Nintendo will release this summer (August probably, it does not appear in the planning of the months before) a Pokemon title for GameCube, which works only if you have Pokemon Ruby and Sapphire and is used as a... well, as a box ! You can store your Pokemon on a memory card, play the 2 GBA games on your TV, and do lots of useless things. Nintendo will sell the game at a very low price. Basically, it seems to be a Pokemon Stadium without the mini-games and fights. One thing is sure, it is not the BIG Pokemon game. This one will come later and might be unveil for the first time at the E3. - Haven: Call of the King. It had been cancelled by Midway, it's now reborn thanks to Xicat who will release it this year. - E3. And well, although this is not really a valuable news, we're happy to tell you that as usual Nintendo seems to have the biggest booth of the show, along with (ahead of ?) Sony. They are located in the West Hall, booth number 2816. Both Japanese ranking and planning have been updated with some interesting news for the latter one. - The Card e-Reader, which allows to read the bar code of some specific cards for loading some information or unlock secrets in your GBA games, will be released in a "+" version on June 27. This new card reader is compatible with the GameCube so you can transfer data both into GBA and NGC games. The same day, Nintendo will release Animal Forest e+, a special version of its famous communication title. - The SD Card Adapter will be finally released in Japan on July 18 ! (the same day as Final Fantasy and a bit before F-Zero) This is a great news, it will be possible to use SD memory cards whose capacity is huge: 64 to 256 times as big as a Memory Card 59 ! Check our hardware/peripherals section for more information. - Doraemon and Lupin 3, 2 famous and popular anime are expected in July on GameCube only. We will update next week with a preview of Lupin the 3rd: Lost Treasure of the Sea.